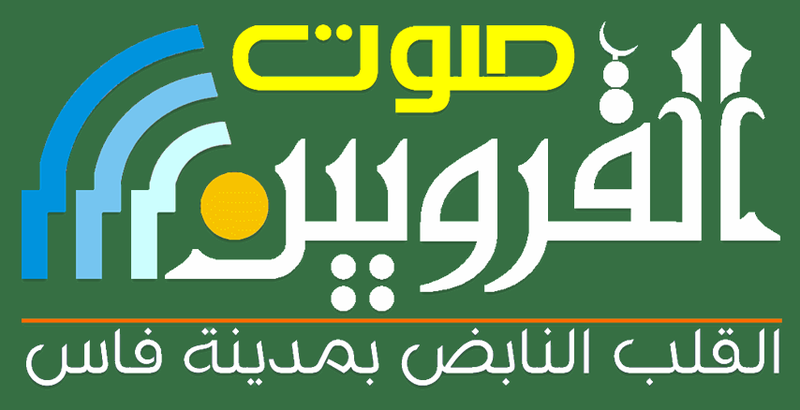 La Universidad de Qarawiyyin o Al-Karaouine (en árabe جامعة القرويين; en bereber: ⵜⵉⵎⵣⴳⵉⴷⴰ ⵏ ⵍⵇⴰⵕⴰⵡⵉⵢⵢⵉⵏ) es una universidad islámica y mezquita ubicada en la ciudad de Fez (Marruecos). Esta institución fue fundada como madrasa de Qarawiyyin en el año 859,1​2​3​ durante el reinado de la dinastía idrísida, por dos mujeres tunecinas, entre ellas Fatima al-Fihri, originarias de la ciudad de Cairuán (en árabe Qairawan), que era por entonces la capital de Túnez. Las bellas residencias de los estudiantes todavía se hallan alrededor de la universidad y están siendo restauradas por el gobierno de Marruecos. The Qarawiyyin Mosque, founded in 859, is the most famous mosque of Morocco and attracted continuous investment by Muslim rulers. 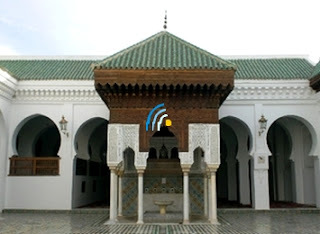 The oldest madrasah in the world, the Jami'at al-Qarawiyyin in Fez, Morocco, has been operating benignly – and continuously – since it was established in 859. ↑ Esposito, John (2003). The Oxford Dictionary of Islam. Oxford University Press. p. 328. ISBN 0-1951-2559-2. The university is a European institution; indeed, it is the European institution par excellence. There are various reasons for this assertion. As a community of teachers and taught, accorded certain rights, such as administrative autonomy and the determination and realization of curricula (courses of study) and of the objectives of research as well as the award of publicly recognized degrees, it is a creation of medieval Europe, which was the Europe of papal Christianity...No other European institution has spread over the entire world in the way in which the traditional form of the European university has done. The degrees awarded by European universities – the bachelor's degree, the licentiate, the master's degree, and the doctorate – have been adopted in the most diverse societies throughout the world. The four medieval faculties of artes – variously called philosophy, letters, arts, arts and sciences, and humanities – law, medicine, and theology have survived and have been supplemented by numerous disciplines, particularly the social sciences and technological studies, but they remain none the less at the heart of universities throughout the world. Even the name of the universitas, which in the Middle Ages was applied to corporate bodies of the most diverse sorts and was accordingly applied to the corporate organization of teachers and students, has in the course of centuries been given a more particular focus: the university, as a universitas litterarum, has since the eighteenth century been the intellectual institution which cultivates and transmits the entire corpus of methodically studied intellectual disciplines.